Happy Monday, Lacquerbeanz! I hope everybody had a great, relaxing weekend. Today I have a beautiful polish from Lavish Polish to show you called Un-Blue-Livable. 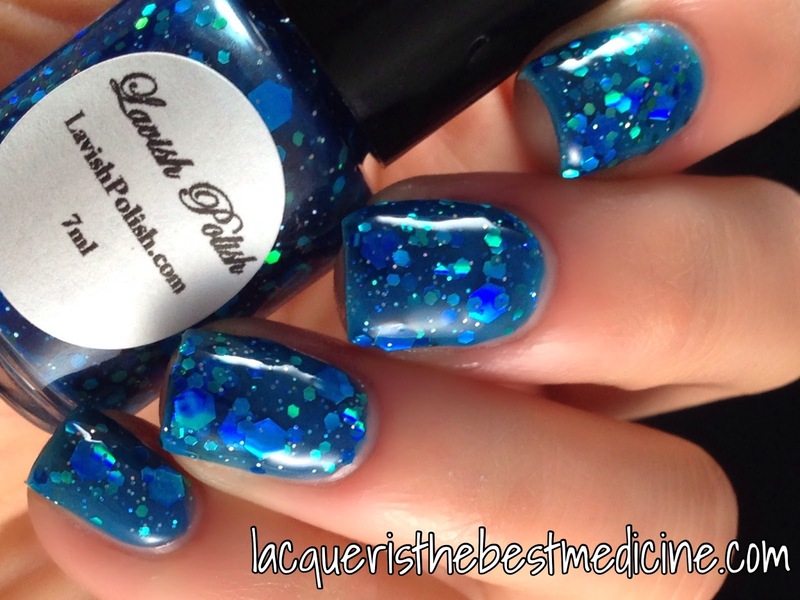 This polish is a beautiful deep blue jelly full of holographic blue hex glitters in multiple sizes. It looks SUPER squishy and beautiful! My swatches show three coats with top coat. Enjoy! Gorgeous blue jelly shade! Love how the glitter looks in it too. This blue is so gorgeous, I want to swim in it!